Twitter's all-encompassing PWA (Progressive Web Application), released under Windows 10 in the Store, of course, has been updated again, this time with a combination of Store update and server-side upgrades. The pace of Twitter upgrades this summer has been staggering, and we also now have news that the traditional web view of Twitter for desktop browsers may also now be switched out for the PWA. Of course, this being Windows 10 Mobile and Edge being a little behind the curve, there's still no way to get push notifications for DMs. Oh well. We added the ability to update your language preference on web. 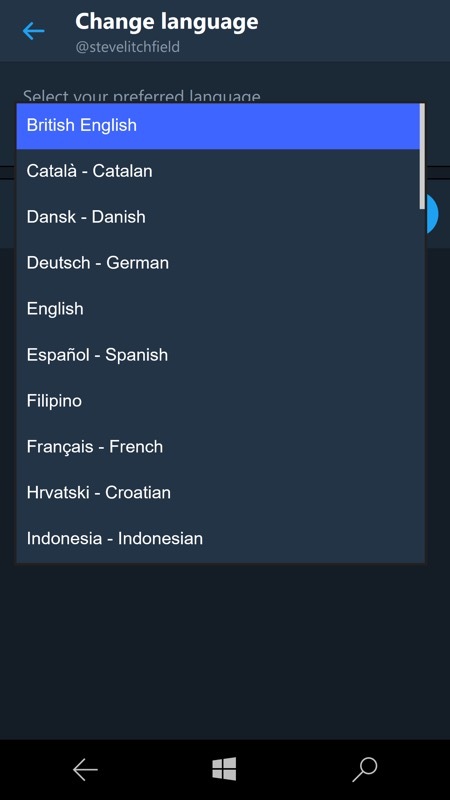 You can check and update your language in settings. 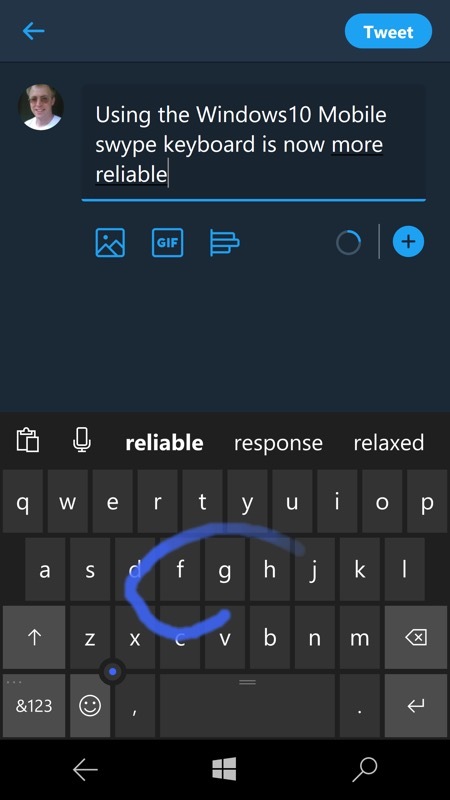 Windows: Swipe keyboard should no longer crash when composing a Tweet. Screen reader support: Confirmations and errors will now be read out (e.g. Your Tweet was sent). You can grab or update the Twitter PWA-ified UWP client here in the Store. Normally at this point I'd also recommend Tweetium, but it's been badly hit by the recent Twitter API changes. In other news, WC reports that Twitter is testing switching out the normal 'web' view for Desktop browsers with the PWA. I think it's only a matter of time, since the PWA is just as functional and it would be one more way to bring this new unified codebase to more people.